Four dozen programs run by nonprofits and government agencies in San Diego County were awarded more than $20 million in U.S. Housing and Urban Development grants intended to reduce homelessness, it was announced Thursday. HUD’s Continuum of Care grants totaled $2.01 billion for the 2017-18 fiscal year, dispersed to localities throughout the country, as well as Puerto Rico and the U.S. Virgin Islands. The aggregate sum awarded to entities within California was $382,566,777 — the largest amount of any state. In San Diego County, 48 separate grants were awarded, totaling $20.03 million. The largest — $3.43 million — went to the San Diego Housing Commission, which oversees a bevy of housing assistance programs, including those aimed at the homeless population. Continuum of Care disbursals are meant to reinforce efforts by public agencies and nonprofits to help move people off the streets, or out of other marginal living conditions, and into transitional or permanent housing, according to the agency. According to HUD, its annual homeless assessment indicated temporary and long-term homelessness among individuals edged up nearly 1 percent in 2017. However, homelessness among families dropped 5.4 percent. 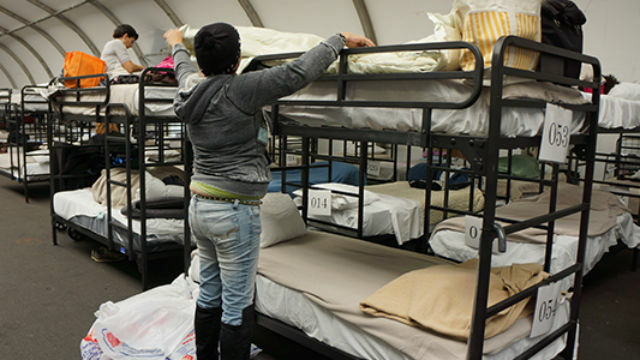 The agency reported that 553,742 people in the U.S. experienced at least one night of homelessness last year.